Before we make proceed with the talent management software and its prominence in a business organization, it is wise that the reader understands who the talent is and what role they undermine in laying the foundation of success in the industry. We know, in every sector, employees are considered to be the brick and mortar of the business. It is the employees who shape the future of your company via their sheer dedication and expertized skills. Therefore, hunting the real talents whom the company can rely upon remains crucial phenomenon to any business, no matter they are mid-sized, small or large corporates. And, once you succeed with right and directional recruitment, retaining the very same right talents for a longer run, adds to HR challenges. Today, with the rising expectations of the business executives and stiff competition in the hiring market, it has become difficult for the HR manager or the management bench to initiate their recruitment proceedings without the aid of a software application. The need for a versatile, fully integrated and qualitative output generating application like Talent Management Software has turned into an indispensable thought of mind among the recruiting crowd. It is quite obvious that you might think, what so special about recruitment management or the need for a recruitment software in your business. All that you need to do is conduct interviews, screen the best candidates and later deploy them with their job functions. Well, I would say this just a fraction. One needs to go a long way in the recruitment life cycle, especially if your workforce is huge and your requirements large. And, moreover, if you are looking for a well-refined creamy layer of talents for your organization, I would adamantly advocate that you come out of your comfy zone or your cocoon shell to trigger best results. One needs to plan in advance the varied strategies for acquiring the best among your perspective, and moreover, an application like the talent management software ensures you to scoop out the best and refined talent for the desired job position in your industry. The software application shall help the business organization in keeping track of the employee data in different stages of employee recruitment life cycle. One can strategically use these data derived by the talent management software to benefit your business. Let us see how. a) With features like application tracking system, your management can easily sift through received applications and later organize them according to the priority. Thus identifying the real prospects, filtering them and later placing them on sure and the waiting list is made easier here. b) Real-time marking of the talents, help the management to gauge who are the right talents, what are their potentiality and commitment level. In further course, based on the data, the management can initiate improvement programs like training, a supply of materials and more. c) One can pull in best talents via strategic recruitment protocols and thereby make a business mark that could draw in potential gifts, and thus, adds to the enhancement of the associations' business execution and results. d) The data on employee help the business to observe the level of employee engagement and their retention mindset. This helps the business in large saving their money rather than investing huge on frequent recruitment proceedings. e) The utilization of the talent management software makes it less demanding for the organizations to recognize which workers will be most ideally equipped and suited for the activity. Moreover, this prompts less execution and complaints within the work. It will likewise ensure which talent inside the organization remains longer. f) With the application, the business organizations can easily settle on methodical and reliable choices about the advancement of staff. This ensures the employee's aptitudes and improvement. Moreover, talents will feel progressively drew into the strategies which help in expanding the standards for dependability. This, in short, helps the organizations in meeting their operational necessities. In short, a talent management software can greatly help the business organization in streamlining their hiring processes, acquiring the right talents, keeping them engaged via adequate training and resource allocations. The system can also help the talents with quick resolutions and better retention plans. 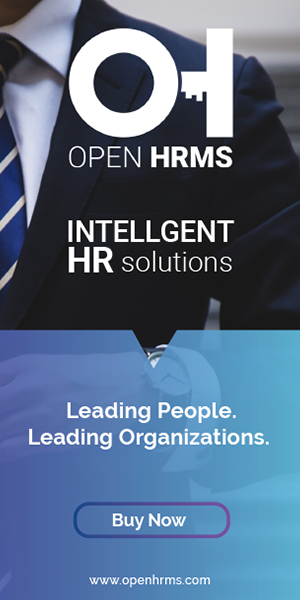 There comes many components or strategic metric points in the talent management software that helps in evading challenges in the HR path. Here I enlist you the various processes that are taken care by the talent management software, helping your business in large. 2. Developing Job positions and their adequate descriptions. 3. Reviewing large tons of applications. 4. Initiating interviews via phone and other mediums. 11. Keep employees track on the goal. 12. Real-time communication and appraisal from management. 13. Triggering feedbacks- discipline, appraisal, engagement and more. 15. Promotions and other referrals. 16. Employment termination upon need. So do not think much, go for a talent management software, that not only helps you to streamline your talents and their work balance but also in sprouting more business revenues and outlook.